white flowers winking like stars. and the headiness of our desire. beyond the boundaries of clothing. baskets full of berries, and always in love . . . .
and sweet with yearning and sun. And now it’s ten years later. task I do alone, or with a friend. and our hands brush like green leaves in the wind . . . . This poem first appeared in West Branch and was included in Starting From Zero (Great Elm Press and Foothills Publishing) and Obbligato (Linwood Publishers). The author of more than 600 poems published in nearly 2000 anthologies, books, and magazines, Barbara Crooker is the recipient of numerous awards, residencies, and fellowships. A twenty-six time nominee for the Pushcart Prize, she is the author of ten chapbooks and three full-length books, including Line Dance, which won the 2009 Paterson Award for Literary Excellence, and her latest collection, More. Barbara credits her achievements to perseverance as much as talent, and says, ?Writing poetry is not putting down whatever comes into your head, and leaving it at that, never taking it any further. 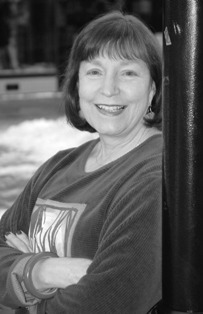 Poetry involves layers, and a lot of revision.” Read more about her at www.barbaracrooker.com. Love and strawberries, beautifully said. The ripe strawberries, the preserves. What a unique way to show the wonders of an old love--there is a song by folk singers, Neil and Leander called Old Love. Your poem reminds me of that song that the audience calls for on nearly every performance they give. Thank you for sharing your anniversary in such a special way. Perfect. So much contained in a jar of strawberry preserves. Ah, yes. Barbara gets directly into her subject and turns us every way but loose. Thank you. mmmmmmmmm!!! sweet (and bittersweet). thank you! Everything about this is luscious. Yum. Stitch us in that tapestry forever,,, thank you! I love the 'stained glass' followed by cathedrals. There is something bittersweet in the word 'stained'. I can smell the strawberries and was wondering whether all the senses are entertained but concluded that five (or more) separate senses are an artificial division, which the majesty of the strawberry transcends.